Noodles are very easy to cook, tweak and can be served as a soup or stir-fried. Our household favorite is definitely fried. 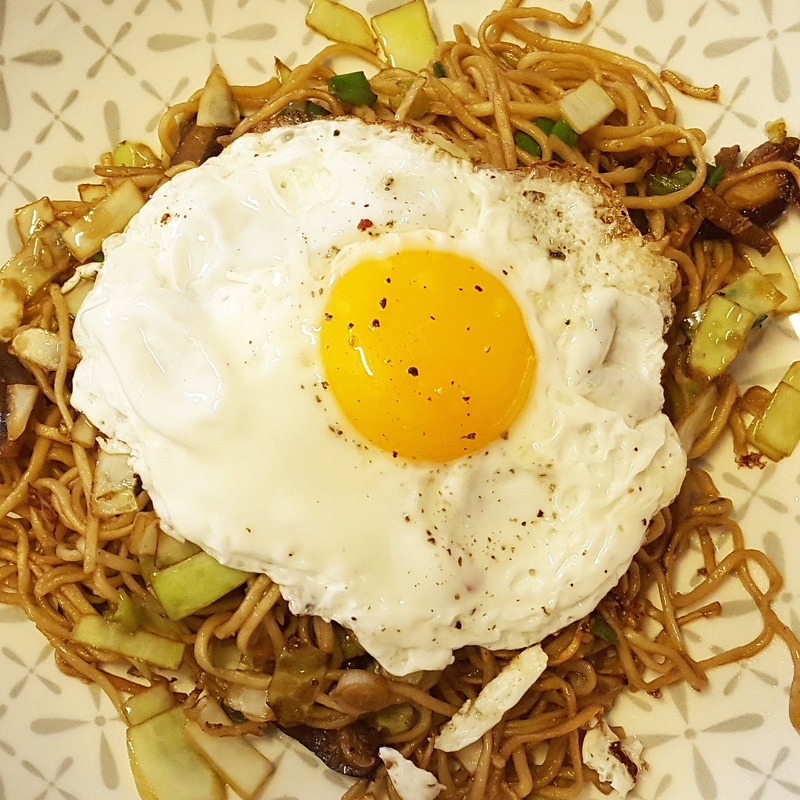 You could easily stock up on noodles at home and cook which of the two styles you want on any day as opposed to ordering take away which would cost about 18CHF when buying the ingredients in bulk would cost no more than 20CHF and worth 3 days of homemade fried noodles. The ingredients are simple, easy to find, and roughly the same as you would use to cook fried rice. Make sure the veggies are prepared beforehand so that your cooking time will run smoothly as it cooks pretty fast and all you’ll need to do is merely grab the ingredients and cook them until the end. In a wok, stir fry garlic, ginger, carrot, spring onions, cabbage and mushrooms. Add noodles and toss for about 5 minutes. Add the liquid ingredients and add more according to your preference. Serve with a fried or a hard-boiled egg.